A tour for people who love language, words and fun. 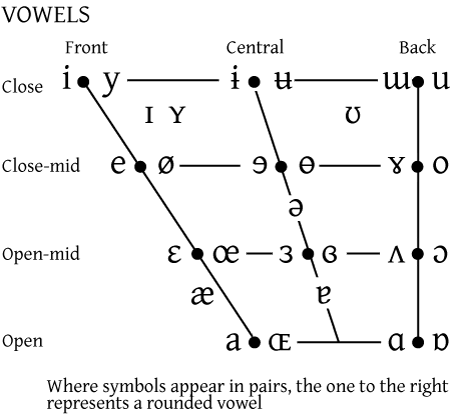 Geoffrey Pullum has an excellent post about the International Phonetic Alphabet at Lingua Franca today. You can read it at this link. Following are the official IPA charts for those who are curious about the difference between alphabet letters and IPA letters (symbols for sounds). An interactive IPA chart can be found here. The study of sounds truly is fascinating. I have a BA in Journalism and an MA in Linguistics.